Medical radiological procedures: which information would be chosen for the report? The aim of this study was to properly define the information regarding patient exposure to Ionizing Radiations in the radiological report, according to the European Directive 2013/59/EURATOM (EU 2013/59 art.58(b)). For this purpose, we evaluated the results from other Member States EU 2013/59 transpositions and from Guidelines recommendation published by International Organizations involved in diagnostic radiology. A practical way for implementing art.58 is also traced. Dosimetric quantities, such as exposure, absorbed dose and effective dose which may be included in radiological report, were first analyzed; then, in order to define international state of art of Member States EU 2013/59 transposition, a Web research using French, English, Spanish and German key words was performed. EU 2013/59 transposition for 5 Member States was reported. Especially regarding art.58, a European project reports that few European countries (11 of 28) have identified the dose metrics to be used in radiological report. 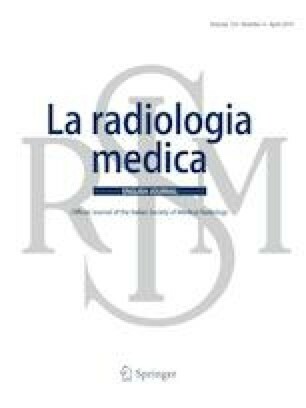 Scientific organizations supporting clinical radiologists and medical physicists have published Guidelines reporting parameters useful to quantify the radiation output and to assess patient dose. Our research revealed that there is not a shared interpretation of patient exposure information to be included in radiological report. Nevertheless, according to scientific community, authors believe that the exposure is the most appropriate information that could be included in radiological report. Alternatively, but with more expensiveness, a risk index based on effective dose could be used. Moreover, the systematic exposure information recorded could be useful for dose estimates of population from medical exposure.